When: Friday from 5-7 p.m.
Books available at sallyvantresslodato.com, Amazon and Aunties Book Store. 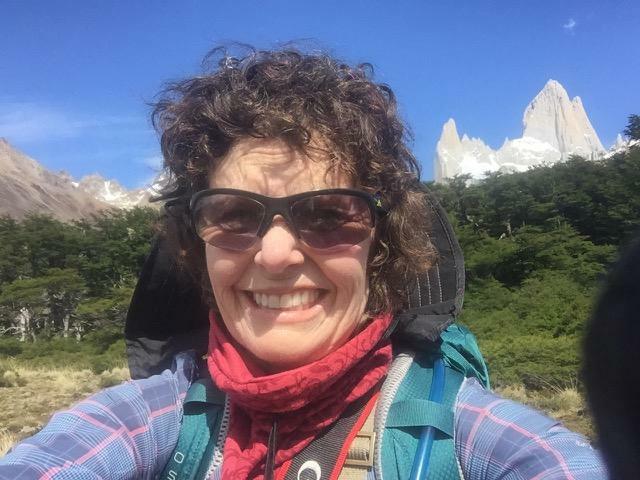 Thirty years ago, prompted by a then yet unexamined desire for adventure and escape, Sally Vantress-Lodato walked away from a successful career and biked around the world. “I was just looking for, wanting desperately to travel and escape,” she said. An audacious journey by any measure, Vantress-Lodato’s journey is even more remarkable when placed in context. Bike touring and bike culture were unknown by most. There were no touring guidebooks, online maps, cellphones or group forums dedicated to cycling. Instead, she had some battered maps, a few tourist books aimed more toward sightseers than pedal pushers and resolve. “I was scared to death and had no business going out on a bike ride around the world,” she said. Yet, she did. In January 1988, the 29-year-old loaded up her bike and proceeded, over the next 18 months to bike 21,000 miles and travel 50,000 miles by plane, boat and train. Her journey began in New Zealand, continued through Australia, Hong Kong, China, Russia, the British Isles and Europe, and ended back in her California home. This year Vantress-Lodato decided to rerelease the book. Her original intent in writing the book was to inspire others to pursue their goals – whatever they might be. She felt compelled to reshare that message. Before her trip, Vantress-Lodato lived a relatively normal life in California. After graduating from college she worked in real estate before taking to the road. She first came to Spokane in 1998 to manage REI. Now, she is on the Spokane Park Board and a project management consultant for the Community Colleges of Spokane Center for Workforce and Continuing Education. On the weekends, she is a ski instructor at 49 Degrees North. Her trip around the world was no walk in the park. But she persisted, and that is exactly the point of her book, she said. “I was on a mountain bike and I didn’t really practice before I left,” she said. She remembers crying herself to sleep at night while rolling in pain from nearly full-body sunburns. She remembers leaches and biking through windstorms that verged on cyclonic. But every morning she would wake up and get back on the road. The people, she said, were one of the most remarkable things about her journey. Often, she was welcomed with open arms all over the globe. To this day, she still gets Christmas cards from a Dutch man she met on a train in Russia – a man she never would have met if she had stayed scared, and safe, at home. Published: Jan. 18, 2018, 5:25 p.m.